Metabolic Fitness began with a vision – to create a results-driven, flexible and, above all, realistic personal training service. Using an approach taking into consideration your work schedule, home commitments, physical condition among other factors. Dave Peelo, elite Personal Trainer and the founding director of Metabolic Fitness, has drawn upon his 20 years’ experience in the industry to create a personal training system which combines a scientific knowledge of nutrition with the way individuals react to exercise. 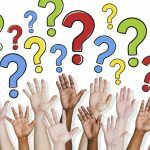 The media is filled with contradictory information about what is the correct way to eat and exercise. We will put you straight in regards what is the correct way to go about getting the results you desire using proven methods and advice, which will promote positive change and keep you there. We know how to get you into the health and shape you desire. We take on clients of all ages and a multitude of professions. You can trust us to get you where you want to go as effectively and as enjoyably as possible. We’ve helped hundreds of people lose weight, get in shape and feel great. Our state of the art gym has a superb location on Drury St. in the heart of Dublin City. 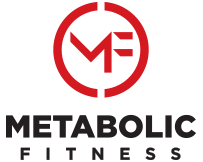 Our metabolic focus means your weight loss won’t be short term but long lasting! At Metabolic Fitness you will not find traditional methods of prolonged boring periods on a treadmill or stationary bike. Our Metabolic Training Formula ensures that by stoking up your metabolism using varied functional movements you continue to burn calories long after you have left the gym, resulting in being able to train less frequently while getting far better results than any other form of exercising. All workouts are designed to suit your individual abilities with an aim to improve all elements of physicality and health. One look at our trainers will reassure you that we know what we are talking about as each and every trainer here practices what they preach. We do all that is necessary to educate and motivate to ensure that each and everyone who enters our premises leaves a healthier, more confident and happier person. The weighing scales approach to health is the most common, but least effective philosophy. Despite what the diet industry has been telling you all these years, weight loss and weighing less is not the key to living a healthy lifestyle. A healthy metabolism is more important than numbers on a scale. Rather than worry about numbers on a scale, we get people metabolically fit. Metabolic fitness, and not the Body Mass Index or some height/weight chart, is the key to living a healthier, happier and energy filled lifestyle. Metabolic fitness is when the body has improved insulin sensitivity, which is achieved when you eat healthfully and exercise intelligently. Our goal is to ensure that any loss in scale weight is fat loss which stays off long term while also achieving an energy filled stronger more toned physique. GET IN TOUCH & DAVE PEELO WILL CALL YOU BACK PERSONALLY TO ANSWER ANY QUESTIONS YOU MAY HAVE AND ORGANISE A FREE CONSULTATION AND TRAINING SESSION. Drury Court, Drury Street, Dublin 2. I consent to Metabolic Fitness collecting my details through this form.